All employees of Schmiede Corporation are committed to driving customer focus by delivering a quality product on time. We continually strive to improve our jobs and processes to achieve customer satisfaction. Our QA department is intimately involved in making continual improvements throughout every step of manufacturing and processing. All instrumentation, tools, gages, and machines used to inspect manufactured components are periodically calibrated to conform to the National Institute of Standards & Technology. To meet our commitment to our customers, we maintain our Quality Registrations. Our QA department is intimately involved in making continual improvements throughout every step of manufacturing and processing. Schmiede Corporation has two dedicated Quality Assurance labs. The main shop QA lab serves all work that moves through our conventional shop whether it be parts made on conventional mills and lathes, jig boring, or conventional grinding. Among some of the machines used in our main shop QA lab are 1 Brown & Sharp CMMs, 1 Zeiss CMM, and numerous other gages and inspection equipment. Schmiede’s CNC QA lab serves only our CNC department and is housed within our CNC facility. 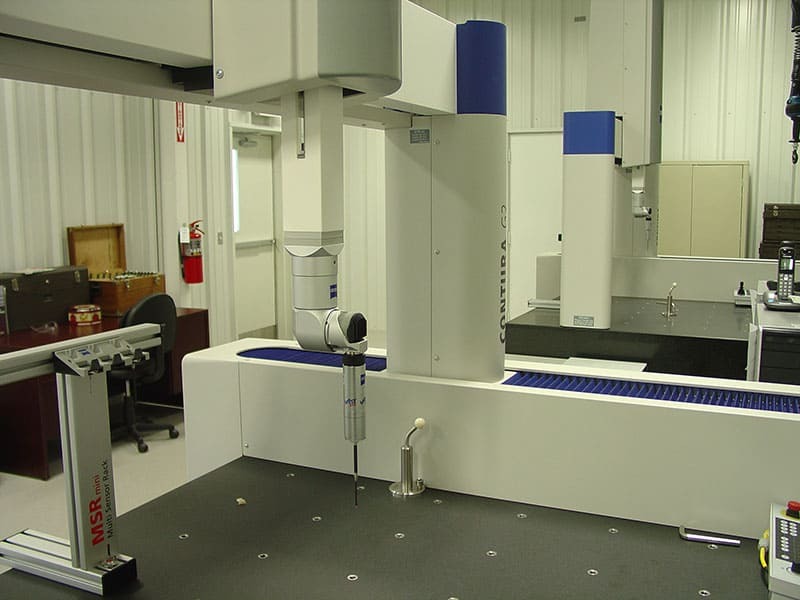 The CNC QA lab is serviced by 3 Zeiss CMMs. Reduce late deliveries to customer. Reduce Rework/Scrap and warranty work.